Basements are one of the main areas in which water damage can occur. It’s also one of the best places for mold to grow and spread, thanks to its cool, damp environment. Basement mold is an extreme issue for many reasons—one of the main reasons being that it can potentially be harmful to a person’s health. Those who feel as though their basement may have mold or water damage should take the proper precautions and seek assistance from All Jersey Environmental Services before it spreads to the rest of the house. The mold inspection and remediation technicians at All Jersey Environmental Services are trained to perform high quality basement mold removal procedures and combat basement water damage effectively and efficiently. When a basement has water damage, basement mold typically follows suit. In fact, basements are one of the most common areas to contain both water damage and mold. When water and moisture issues are left untreated, the ideal environment is created for mold spores to grow and thrive. Basement mold can also grow when there is little to no ventilation in the area, stale air or a crack in the foundation of the home. Other causes of mold in the basement include leaky pipes and clogged gutters, as well as a high humidity level. 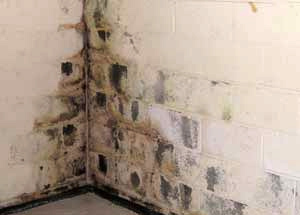 Basement mold usually grows on the typical items found in a basement, like ventilation systems and sump pumps. The harmful toxins that derive from mold make it a serious issue that should be resolved by professionals, especially since it can be related to ongoing health problems. The basement mold removal process begins with a free basement assessment provided by a certified technician, who will also perform an air quality test and laboratory analysis on the area to truly gauge just how severe the situation is. Once the water has been removed from the basement, the technician will then remove and discard the basement materials that have been affected by mold. Sanitizing the basement comes next, followed by preventative measures to ensure that the basement mold will not come back again. Contact All Jersey for an Estimate Today! All Jersey Environmental Services, Inc.